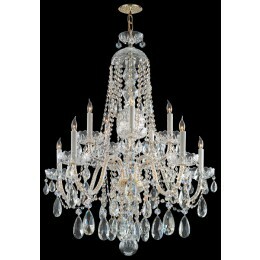 Traditional crystal chandeliers are classic, timeless, and elegant. Crystorama's opulent glass arm chandeliers are nothing short of spectacular. This collection is offered in a variety of crystal grades to fit any budget. For a touch of class, order this collection in Gold for traditionalists or in Chrome to match your contemporary or transitional decor. 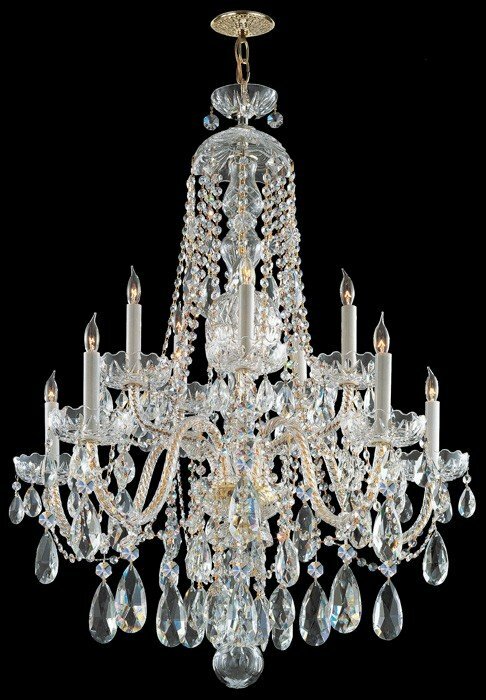 The Crystorama 1110-PB-CL-MWP Traditional Crystal collection Chandelier Lighting in Polished Brass uses Incandescent light output and brings Antique style. This item is 35"H x 32"W. The total wattage is 600 and the voltage is 120 volts. The Crystorama 1110-PB-CL-MWP requires 10 bulbs. Additional Information: Shade-Clear Majestic Wood Polished Crystal.